Srok disagrees with Glavrok's approach to dealing with the Fuegonauts, preferring open warfare and repeated, direct attacks filled with bloodshed. These opinions, combined with his fighting prowess have made him a favorite, even a hero, among the younger more ambitious ogres. 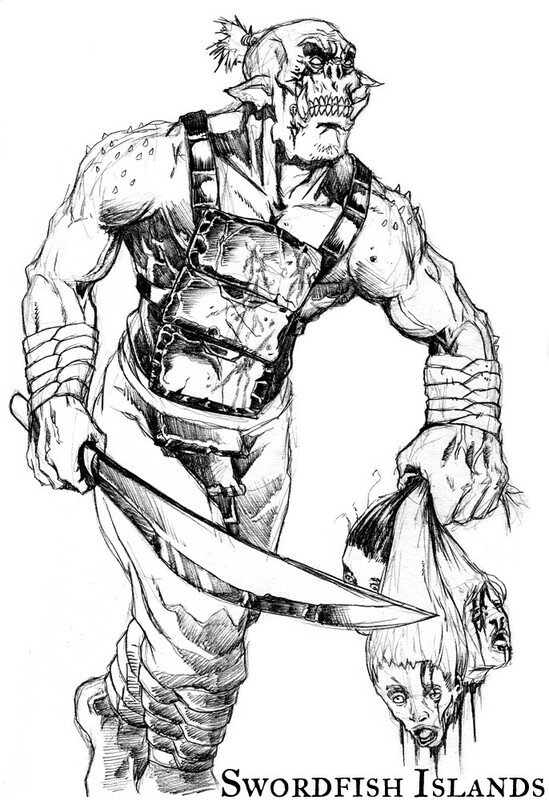 Knowing not all of the Night Axe wanted to achieve vengeance in a methodical way, and knowing that Srok's growing following could lead to a schism in the tribe if left unchecked, Glavrok ordered Srok to found Boar's Head Encampment [HS-07] to serve as a forward base of attack in the war against the Fuegonauts. Glavrok was not pleased to do this because of the casualties it would undoubtedly cause, but he knew an internal revolt would likely kill them all. Srok is no fool though and is still highly respected by Glavrok. Knowing the power of Svarku's forces, Srok embraces assistance from anyone even remotely trustworthy and is much more inclined to trade or open relations with adventurers. He knows the potential adventurers possess and is unafraid of their weapons and magic. To win. At any cost. What does Srok NOT want?